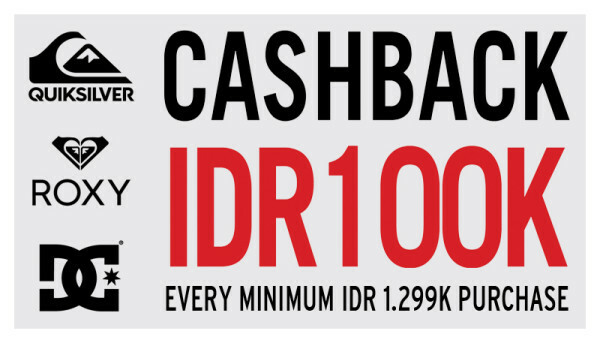 Get Cash back Rp 100.000, – with minimum purchase of Rp 1.299.000, – terms & condition apply. Only at Quiksilver – Bali Collection block B2. Previous story Choose Your FREE GIFT!